Nitrates and nitrites are components of chemical compounds used in the curing of meats such as hot dogs and bacon. They are also naturally occurring in vegetables and within the human body. Reviews of scientific literature show no evidence of nitrates and nitrites being carcinogenic. 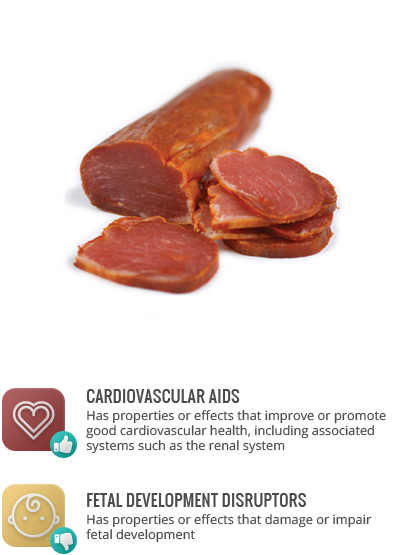 Nitrites have been asociated with beneficial effects on the cardiovascular and immune systems, and as a treatment for cardiovascular and circulatory disorders. However, nitrate intake via water has been associated with specific birth defects such as spina bifida, limb deficiency and cleft palate. Nitrates and nitrites do not accumulate in the body. Additionally, nitrites are naturally produced within the body; saliva is the major source of nitrite exposure in the human body. Furthermore, vegetables often contain considerably more nitrites than cured meats, for which nitrite levels are regulated. Consumers may choose to avoid cured and processed meats for reasons other than nitrate and nitrite content.